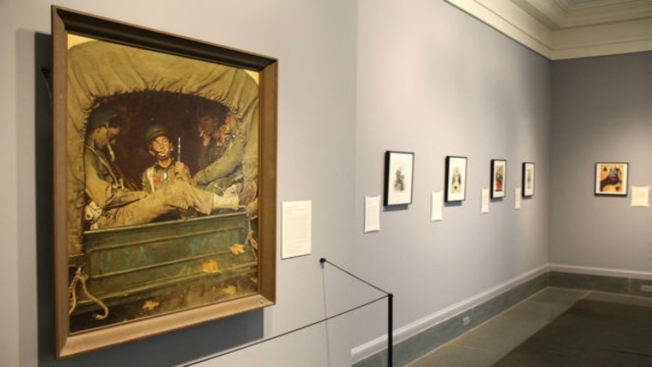 The Massachusetts museum that drew international condemnation for its decision to raise money by selling dozens of works of art, including two by Norman Rockwell, says it only needed to sell about half the pieces to reach its goal. The Berkshire Museum in Pittsfield announced Tuesday it only needed to sell 22 works, raising more than $53 million, even though it could have sold up to 40 pieces. The museum said there will be no further sales. Officials, citing the museum's dire financial straits, announced in 2017 they needed to sell the works to stay open, bolster the endowment, and fund a renovation as it refocused its mission away from art and toward natural history and science. The sale of the Rockwell pieces was opposed because the illustrator lived in nearby Stockbridge.